Mother's Day is a good time to reflect not only how important our mothers are in our lives, but to wonder what their lives must have been like before we came along. 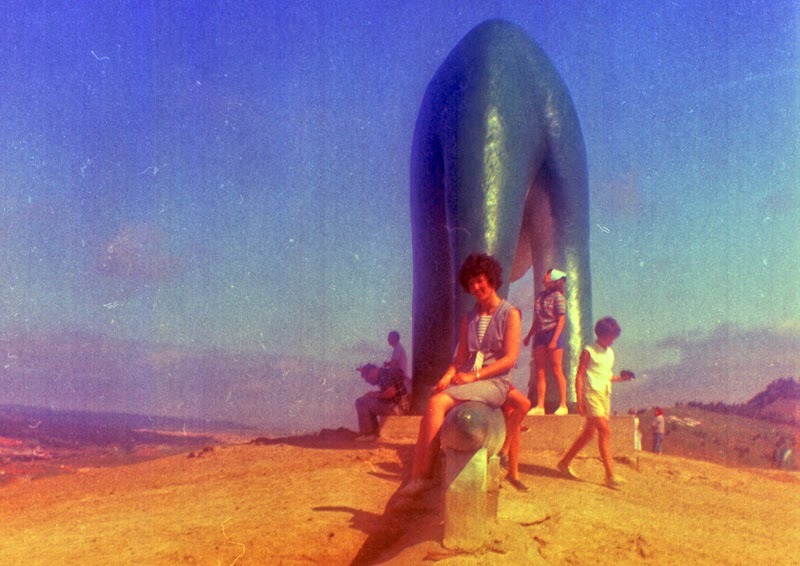 I certainly wonder that sometimes, at least, especially when I run across old photos like this one, which depicts Mom in 1966 sitting on the tail of a dinosaur. The slide was pretty degraded, and it's going to take some more work to properly retouch it, but even as it is I find this image a fascinating glimpse into the past. Happy Mother's Day, Mom! Either your mom looks great for her age, or there is some explanation missing that would solve the riddle of how she co-existed with the dinosaurs. Mom, you don't look a day older than Pliestocene! Who Knew NuWho Would Woo Woods?